The PunkNut is the first self-aligning and translating leadscrew and ball nut. 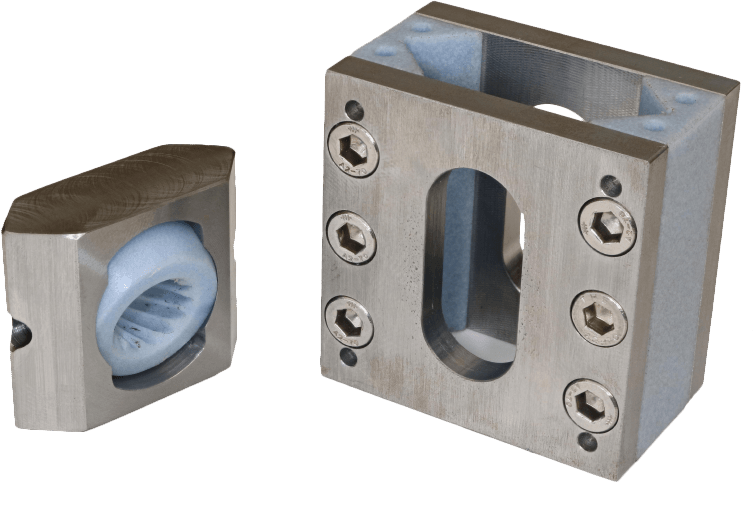 The PunkNut accommodates single or double axis misalignment up to +/- 15° without any increase in load or wear on the system. A two ring system can be used to accommodate angular misalignment in a single plane. A three ring system can be used to accommodate angular misalignment in two planes. 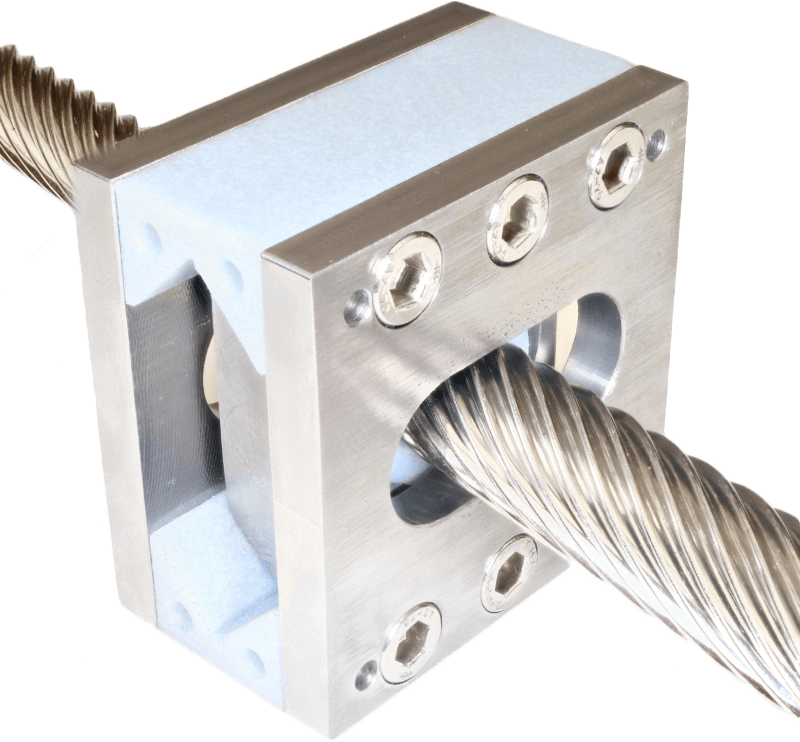 Punk® geometric philosophy is radically different and represents a completely new type of technology to support mechanical power transmission and linear motion. The travel required for linear slides is determined as a trigonometric function of the required angle of misalignment and the length of the leadscrew traversed. If you want to find out more, please don’t hesitate to contact us.